To comprehend fully Nicola Conte’s music originality and sensibility we should refer, together with his productions, to the unavoidable Fez’s activity, a cultural movement founded by Conte himself in Bari in the early nineties. A real melting pot of several creative musicians, who first of all are friends and grew up together with the same intellectual, music and political similarities. In that period Fez became the reference point for the artists involved in the acid Jazz scene, really fashionable in London; Nicola Conte is considered the irreplaceable link with our country: he brings artists already famous abroad but still unknown in the Italian clubs. Nicola in ’99 decided to produce his entry record, “Jet Sounds”, released in 2000. “Jet Sounds” is an elegant fusion among typical Italian sonorities, connected to the cinema and influenced by Jazz, Bossa Nova and psychedelic music. After this record Nicola continued working both as a producer and as a dj in various worldwide clubs. In the meantime he started making himself noticed as a composer and musician. In 2002 Nicola composed and produced the record of Rosalia De Souza, the Quintetto X’s singer. “Garota Moderna” completely reflects the puristical soul of the pugliese artist, who created the melodies upon which Rosalia’s voice is performed gracefully and with lightness. This record is to be considered a further development for Nicola Conte as a producer, where the relationship between the Brazilian tradition and modernity is highly improved. In the same year also “Jet Sounds revisited” came out, a remix selections of the namesake album, revitalized by the most important producers in the electronic scene: Koop, Thievery Corporation, Micatone, Nu Spirit Helsinki and the Italian Gerardo Frisina. The artistic importance here finds a positive feedback, thanks to an unreleased piece. The visual suggestions communicated through “Love Me Till’ Sunday” become essential for the TV commercial RAS. Thetestimonial was Sean Connery. Through the remixes Nicola afterwards developed a sound research, starting from the sample technology, then using principally an acoustic instrumentation but obtaining likewise a big club-style impact, breathing the jazz atmosphere of the sixties. In other words a modern dancefloor as a jazz ballroom. The year 2004 is the turn of “Other Directions”, licensed by Schema at Blue Note. This record represents Nicola Conte’s music aesthetic, from every angle. Always in balance between Jazz and Bossa Nova, here we find the compositive soul bounded to accomplished acoustic atmospheres. The composer’s intention is to communicate not only through the music but through the lyrics too, which not only reveals a talented musician, but also a talented writer. “Other Directions” buds from the collaboration and the music affinities of some Italian and international artists, whobecame components of the Nicola Conte Jazz Combo band. 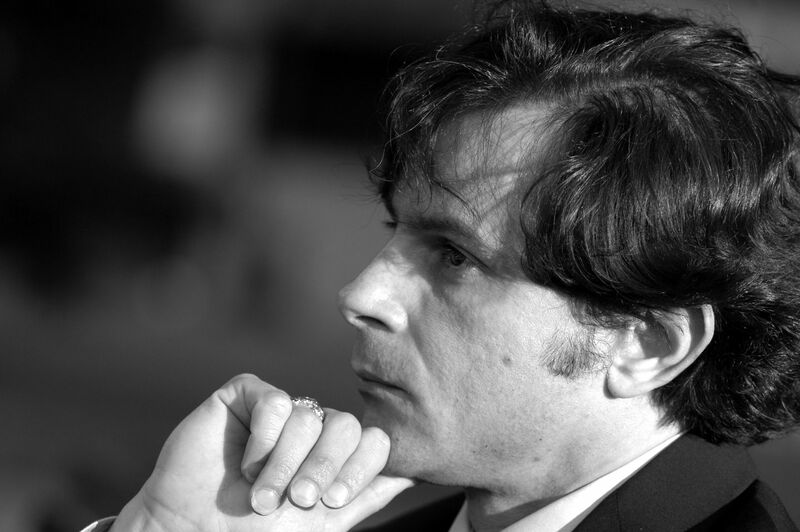 In “Other Directions” the instrumentalist soul of Nicola Conte also comes out, who had decided to start studying guitar again, his old passion. From the Londonian Jazz Cafè to the Milanese Blue Note to the Tokyoite Billboard, from the Swiss Montreaux Jazz Festival to the German Jazz Open Stuttgart, the sound of “Other Directions” has been largely acknowledged and nowadays is still a smash hit, which demonstrates the unique feeling of his music and of the Jazz Combo band, and above all it reproduces in the live performances the freshness of the sound created during the several studio recording phases. Just a year after releasing the internationally successful “Rituals” album, “The Modern Sound Of Nicola Comte” takes us on a journey into the most tasteful sounds you can get when it comes to Bossa flavored Jazz, Latin excursions and soulful grooves. The consolidated work flow of Nicola Conte in recording studio, find a new stylistic dimension in 2011 with the LOVE AND REVOLUTION album, released on the historical Impulse label. The solid jazz inspiration of Nicola becomes more soul and spiritual, giving more space to vocalism and looking more at the real afro-american roots of the music. A choice based on an age (the sixties) when the civil awareness was one with musical genres as soul music and jazz. The usualConte’s entourage of great musicians, here find the great contribution of Magnus Lindgren for the arrangements, and the fundamental role of voices is supported by singers as Gregory Porter, Alice Ricciardi, Jose James e Nailah jus to name a few. The release of Love and Revolution determinated another tour around the world, from Los Angeles to Tokyo, London and Algeri. Many gigs in jazz festivals and many dates in important clubs from Ronnie Scott to the Blue Notes. The sound of Combo is always evolving and is moving more on the deeply spiritual soul and jazz. With this concept in mind, Nicola kept together some uncompleted and unreleased works from 2008 to 2001, to complete them on his new musical way. What resulted is FREE SOULS in 2014, which reaches new amazing sounds.